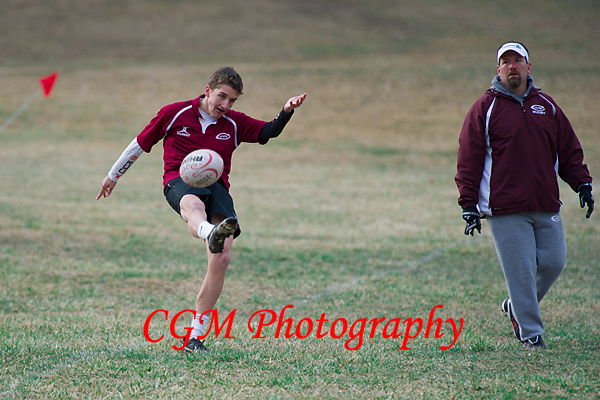 I’ve posted the photos from the 3 CMA rugby games yesterday. 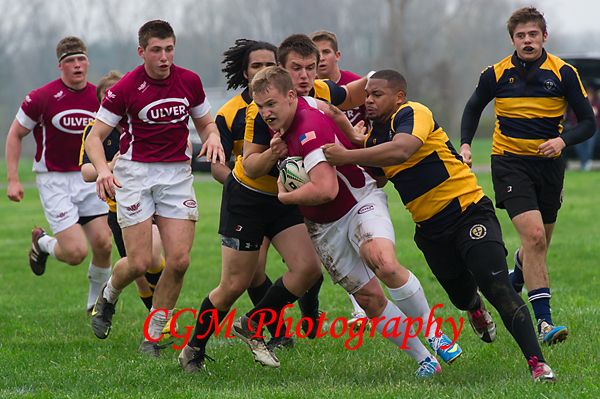 Yesterday, I photographed the Culver Academy’s varsity rugby team as they hosted Fort Wayne’s Bishop Dwenger for an evening game at Fleet Field. Though Culver had a few players with injuries, they played exceptionally well. After scoring within the first minute of the game, they lead the entire game and won 30 to 10. 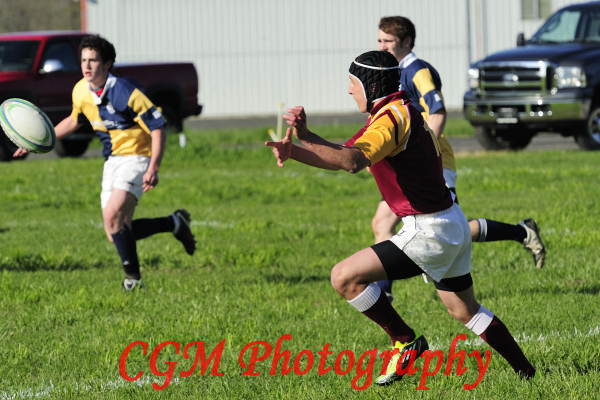 I must admit that Rugby is becoming one of my favorite sports to shoot. I’m still not entirely sure what is going on during a game, but with each game, I understand a little more. 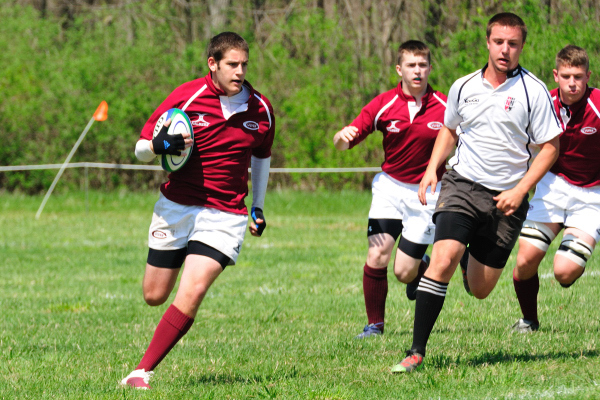 With Rugby, there is so much action and opportunity for great photos, I find myself looking forward to each game. The sun was actually shining a few weekends ago as Culver held Varsity and JV games at Fleet Field. The sun, my newest camera, which shoots 10 shots a second, the boys’ new uniforms, the opposing team having bright red in their uniforms, and the grass and trees finally getting some color made for some great photos. 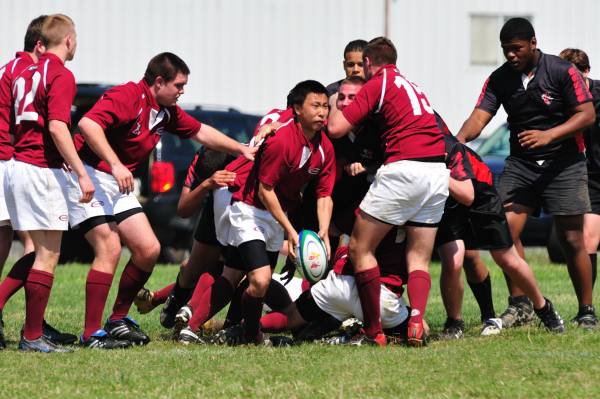 I can only imagine how the photos would turn out if Rugby were a Fall Sport played on the field. Both of Culver’s team played well and really wanted to win. Unfortunately, they were out played by the Arlington Stallions. Yesterday afternoon, I started my busy schedule of shooting by traveling to Culver Academies’ no-longer-functioning airport at Fleet Field. This is where the CMA Rugby Team holds its games. 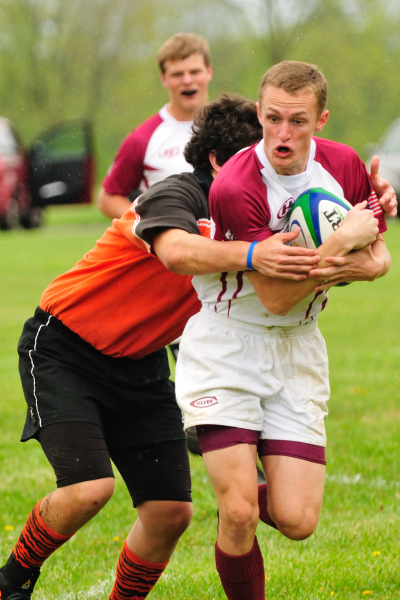 Culver hosted the South Bend Mercs for both the JV and varsity (or A and B teams) games. The earlier clouds had cleared off and the temperature was comfortable enough to shed my jacket. If you’ve read my earlier posts about the Rugby team, I must say that two things are changing. First, I’m beginning to understand the game a little better! After watching 4 or 5 games and talking with coaches, trainers, and the kids, I have a much better idea of what is going on than when the season started. Secondly, and more importantly, the team is coming together and playing well…extremely well. 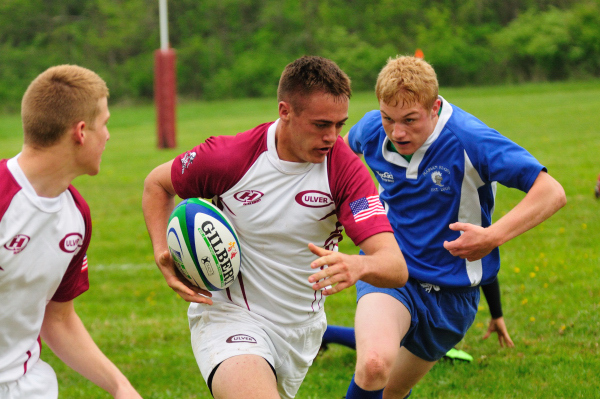 For as young as the Rugby program is at Culver, it has a ton of talent. Yesterday’s game was an easy win for Culver. At one point, after one of our scores, I heard the coach on the opposing team talking with his kids. He was being kind and complimentary (as opposed to being upset or angry about it) in telling them that we should be a Division (something) team, but Culver didn’t have enough kids in the program to be a part of that Division. As a spectator, I’ve noticed a huge difference between the skills of the teams playing in the past three weeks, so I think the Culver Eagles are peaking at the right time in the season, regardless of the Division they are in. Check out how tough they play in these photos. 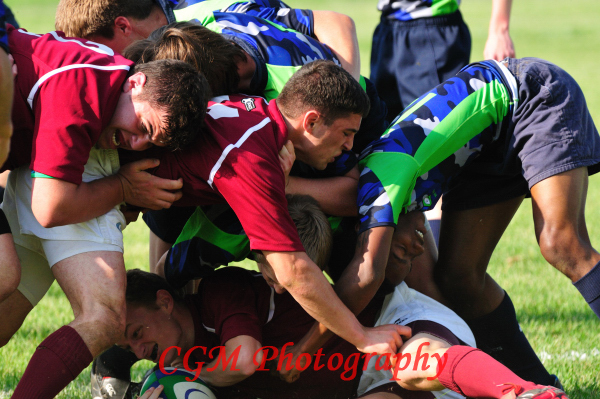 There are more located at http://www.culverphotos.com/5_5_10_v_rugby. 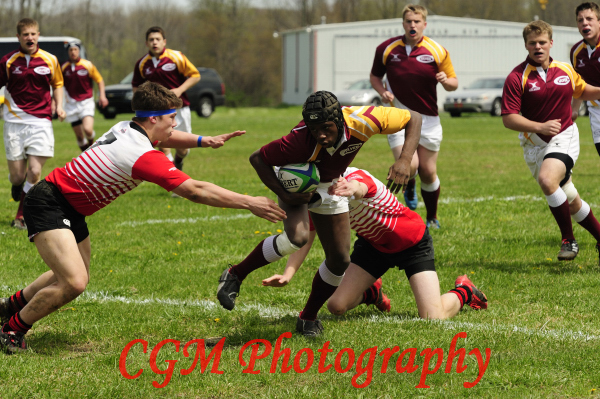 In the second rugby match of the day, the Culver Academy Eagles played against the JV Rugby Team of the North Central Panthers. The weather was great and both teams played well. It was exciting to watch and I’m thankful that Spring Sports have started and I’m back to shooting outdoor events. I’ve posted some photos here; there are several more at http://www.culverphotos.com/p853198773.